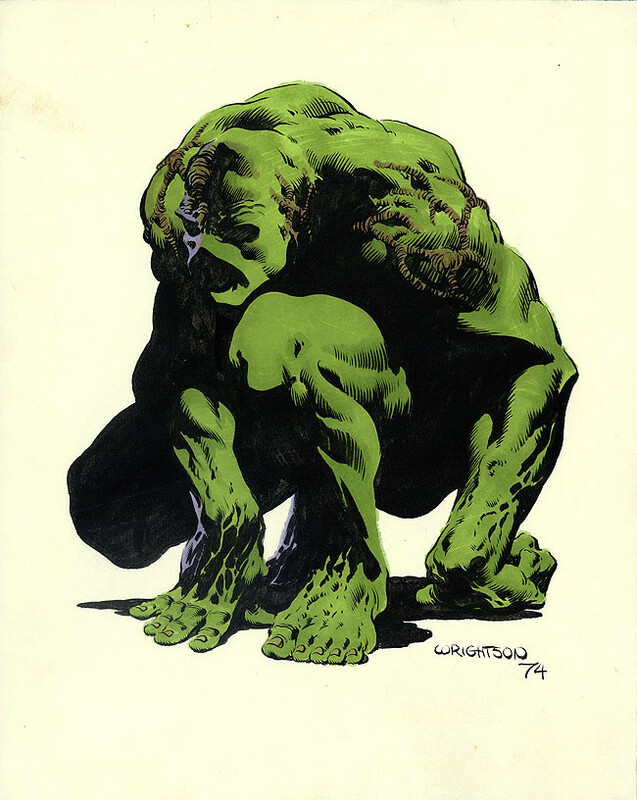 Here is a 1974 pinup by Bernie Wrightson of his most famous creation, Swamp Thing! No idea where this came from, but I have this nagging suspicion this illustration was used on the cover for a 70s convention guide? Nuff Said. I first saw it for sale as original art from Black Line Fever probably ten years ago, but you're right, it's kinda reminiscent of the 1977 Comic Art Convention Cover. I wish we could see more of his art in comics.